On Monday, August 21, 2017 at 2:41p.m., Mother Nature will plunge the Columbia area into complete darkness for 2 minutes and 36 seconds, and South Carolina hopes to see over one million visitors hit Columbia’s streets, cafes, ballparks, and nature preserves to share the experience. Despite the tourism board’s full-fledged website touting and welcoming the event, some local business owners see the event still weeks away and have not begun planning for the masses yet. Twin Peaks and Gervais & Vine, two popular Columbia area restaurants indicated that although they have not yet planned their promotions, they would definitely be participating in Total Eclipse-related tie-ins. Other restaurants noted that they wanted to see what other area eateries were advertising before they committed to their promotions, but most agreed that they were going to take advantage of the influx of visitors. Known as the “path of totality,” for most this will be a once-in-a lifetime event. In fact, the last Total Eclipse visible in this part of the United States was 99 years ago, and Columbia will allow visitors a front-row center seat to the best show in town. 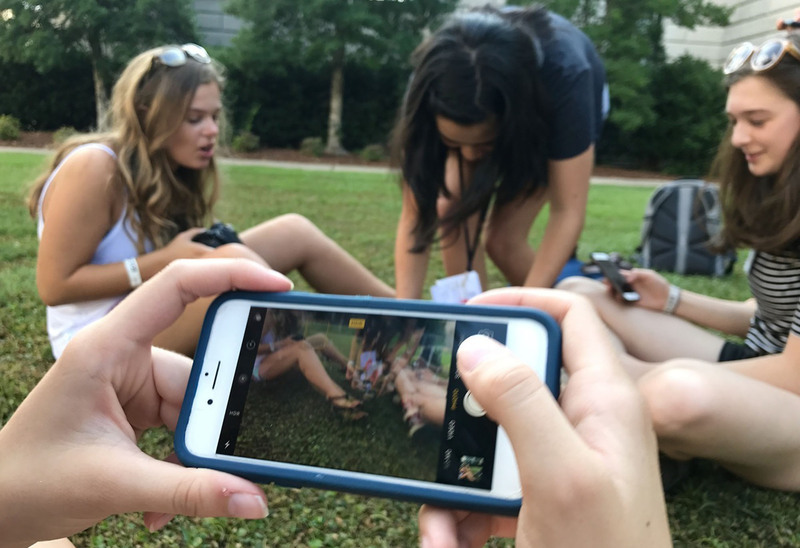 It’s no wonder that The Total Eclipse Weekend Columbia, S.C. initiative was created to provide a central hub for anyone seeking information to plan a memorable weekend of activities for all ages and budgets. This passion for the city and all that it has to offer is evident in the extensive coverage of the Total Eclipse Weekend website. Erika Sundnas, Sales and Special Events Coordinator, explained that for those interested in live music and a casual gathering with friends, the Carolina Ale House is hosting a beer truck and parking lot lot party on eclipse day. You could old school it with a drive-in movie at the Historic Columbia Speedway festival grounds. Anyone looking for more highbrow entertainment can find it in the Jasper Project, which will premiere a series of six 10-minute plays commemorating the Total Eclipse in Columbia on August 17. There is no way to predict how the Total Eclipse will affect the Columbia area because it truly is a once-in-a-lifetime event. The impact that this event could have on the economy is staggering, particularly considering that event itself will take less time than it takes to brush your teeth. No doubt when the entire city dons its safety glasses and looks towards the skies, it will be an awe-inspiring, memorable 2 minutes and 36 seconds. For those young enough to be able to participate in the next one, hopefully they look back on the Columbia Total Eclipse and recall events from their weekend that made it special.